Submitted by hanseata on March 19, 2015 – 2:56pm. But there are some surprising shortcuts, especially for those people who, like us, stuff their fridge with so many baking ingredients and condiments that they lose the overview. Check the back of your fridge, you might find something like THIS! 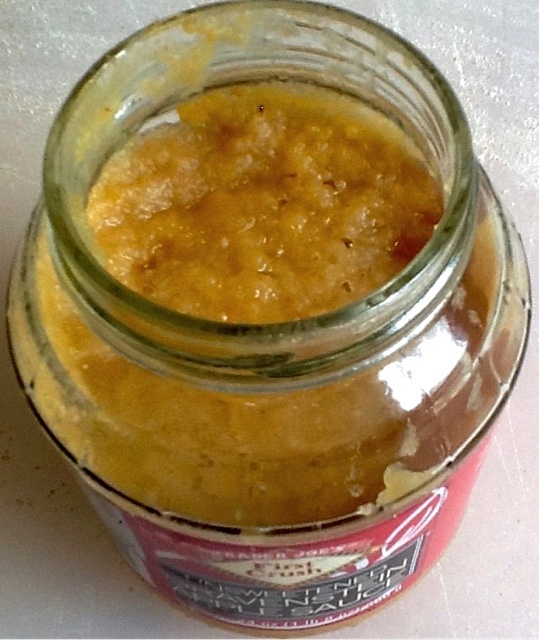 You can turn plain old supermarket kefir into a very lively starter! To learn more about improv starters, and see the great breads you can make with them, please, follow me to my blog “Brot & Bread”. 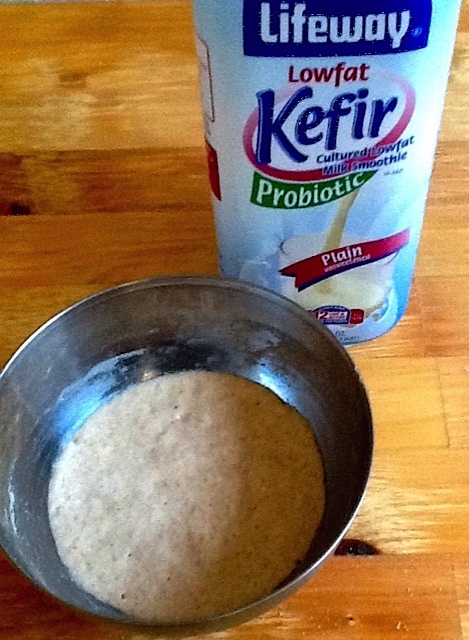 The title image, by the way, shows a Tartine Porridge Bread, made with the power of kefir! « Adjusting a loaf size.